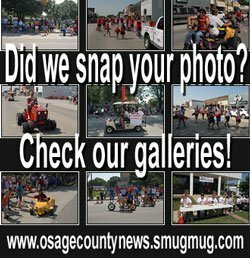 An Overbrook man was taken into custody Wednesday in Douglas County after a car chase that began in Osage County. 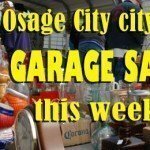 The Osage County Sheriff’s Office reported that at approximately 2:50 p.m. April 20, 2016, an Osage County Sheriff’s officer stopped a 1993 Chevy pickup at 189th Street and Stanley Road in Osage County for a traffic violation. After contacting the driver, later identified as Bradley Mitchell, 26, Overbrook, the officer returned to his patrol unit to run the drivers license, when Mitchell fled the scene. A pursuit ensued, traveling into Douglas and Franklin counties. At approximately 3:35 p.m. Mitchell fled the vehicle on foot near 250 Road on 1600 Road in Douglas County, and was quickly taken into custody. Mitchell was arrested and transported to the Osage County Jail, where he is being held on numerous traffic violations including fleeing and eluding. 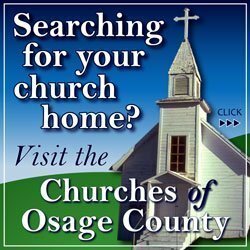 The sheriff’s office reported that a Osage County patrol vehicle received damage during the chase, but was drivable after the accident. Assisting in the incident were the Douglas County Sheriff’s Office, Franklin County Sheriff’s Office, and the Kansas Highway Patrol.